We rank players based on a formula of accomplishments, talent, team success, ability to dominate peers and long range potential. how come you don’t have malachi richarson from jersey in your class of 2015 ranking. Mickey Mitchell got absolutely destroyed against the Memphis Wildcats this past weekend in Dallas. Keelan Lawson went for 38 points and 15 rebounds in the win over the Titans. Browsing your website I noticed you don’t have Joseph Binyoti or Diamond Stone (2015) out of Milwaukee,WI on here. I know Milwaukee is a smaller market but they have received national recognition and I truly believe their name is growing across the U.S.
Why are those guys over 14 yoa ranked in the middle school catergory? We all know that there is 15/16 year olds in this ranking and hold backs even 1 player is held back 2 times? Not sure what parents get out of holding kids back for sports, good luck down the road with that one! These ranking camps should make players/parents bring original birth certificates so every body is on equal ground for age and then lets see how it all plays out. Look at Kalif Jones from Burlington,Vermont. He is nasty. He plays for the Vermont Irish Cats. Mickey Mitchell is what 15 or 16 years old? Come on man he is playing in the NIKE EYBL high school league with the Texas Titans!!! No way should he be on this list!! lol. 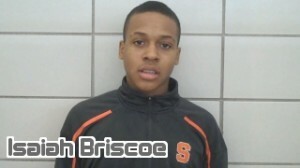 where is bryson gordon had 61 points in amiddle school game? Andrew Fleming at #18!!! That is a joke!! He is about to play on my team.. he is not even ranked in the top 3 in fla right now!!! Matthew Milon is the best player in florida and should have Andrew Flemings national spot… and Matthew Milon scored 31 against Horace Spencer at nationals. Don’t leave out Parker Howell, Justin Jenkins, Braxton Blackwell, Taylor Vanderbilt or James McPherson from Select who edged out the Memphis Wildcats in Atlanta and shut down Keelon Lawson and Terrance Birdsong to win AAU State in TN. Lots of good players from TN. I coached a kid this past season in Jackson, Ms that should be in this ranking. He is 6’4″. Excellent shooting touch out to the three point stripe. Daniel Phillips is his name. zimmerman good plyaer but at 13 good player but i seen hin get out played by kevin summers from CA HE NEED TO BE ON THIS LIST. venson price is an 5’9 point gaurd from Cleveland Ohio. he averaged 17points , 8assists , 7rebounds. he should most definitly be on this list. How Kamil Williams not on this top 25 list is amazing to me.I witnessed this kid completely destroy Alonzo T. and Perry D. at the Fab Frosh camp in the ATL. Kamil also was a stater on his Grandview Prep State Runner-up Team as a 8th grader. 10pts, 2rebs ,2assts. I also agree with the writer above about the kid Diamond Stone he is hands down the most skilled big in the 2015 class at this point. 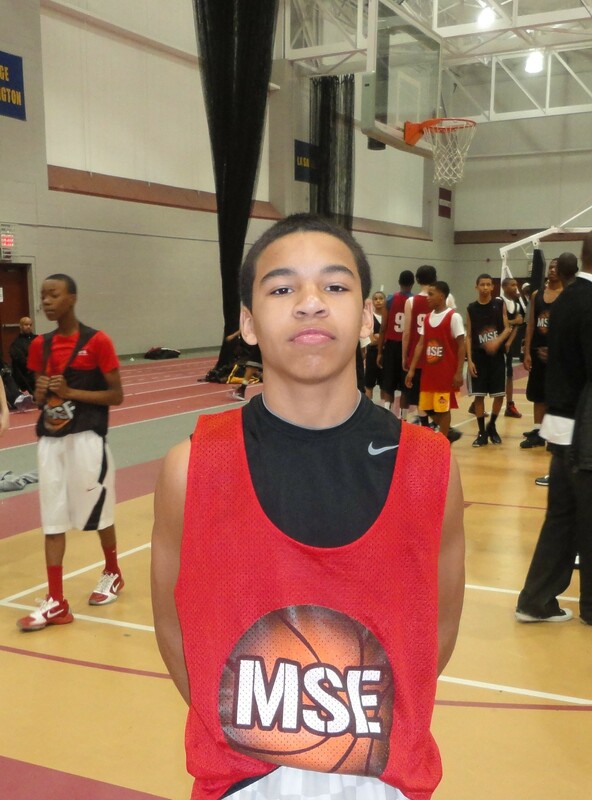 Shareef Smith #21 Madison Wis. Spartans..the future that’s all I got to say..
Middle school rankings don’t mean much. Have traveled around the country and have seen thousands of players in the class of 2015 (with most of the best ones playing up- some at 17U) There are just too many players. I think your #1 is dubious choice considering he’s your (the publisher’s) son, but I’ll admit the kid has great skills. He looks great in all the highlight videos. Just curious- he is a year older than most of the other players. Why is he class of 2015? Come down to check out the young guard from channelview Xaiver neveu the kid score 40 points in a 7th grade basketball game. Damon Lawrence Jr. currently a freshman enrolled at G.A.R. (Grand Army Republic Memorial Senior H.S.) in Wilkes Barre, PA is an under the radar 6’2 165lb stud! He’s displayed a motor not many in his class 2015 has and plays multiple positions, from the 2 to the 4 with ease. He shoots the midrange (10-18ft) jumper and can extend beyond the arc. His 6’5 wingspan & footspeed allows him to defend and lock up with most point guard & swings (2’s & 3’s). His 6’2 165lb frame allows him to also defend any 4 or 5 in the 2015 class, easily. He’s a Brooklyn Native and has seen his fair share of the best the Tri-State has to offer beginning last January at the Hall of Fame Classics in Springfield, MA competing against the loaded squad of the Massachusetts Express and F.A.C.E.S. producing 18pt, 13rbs, 4blks & 22pts, 16rbs, 5blks respectfully. All the way to Leading the Brooklyn Kings to the Semis in Dyckman where he routinely scored 15-20pts and the Championship Game Against a stacked New Heights Crew in Conrad McRae winning Most Improved Player after competing against Isiah Whitehead and alongside Darren Thomas as a 7th Grader, last summer in the 14U. Division. This young guy is a quiet riot and sooner than later he will make a big splash on the National Circuit. You guys are missing Matt Chandlee, he avereges about 34 ppg, and is a 6’1 combo guard. Watch out for him in the future. Blake Ruckman is the Best player in Indiana! 6 footer that ave 29 a game and can do it all! No doubt should be on this list! Check him out! Evansville Indiana! Where is Terrell Turner from New Heights NY? Kid is 6’3″ in the 8th grade and can do it all. Take a look at 2015 shooting guard Chris Kownacki of Mahwah, NJ and IYB BASKETBALL who plays for Coach Kent Culuko. Culuko is one of the best shooting coaches around and his student, Kownacki will nail the 3-ball until you have no choice but shadow him and then he’ll slash the lane. The kid steals the ball from opponents constantly. Kownacki’s a pure scorer – check him out and you’ll be adding him here. In the words of Dicky Vital “Kownacki’s a DIPPER DANDY – simply UNBELIEVABLE baby!” A BIG TIME SCORER from NJ with a consistent money ball from behind the arc – perfect shooting form – excellent ball handling skills – goes to the basket – and he’s a 6 foot freshman combo guard that can leap – a big body that’s put together well so he rattles teeth banging around inside game. 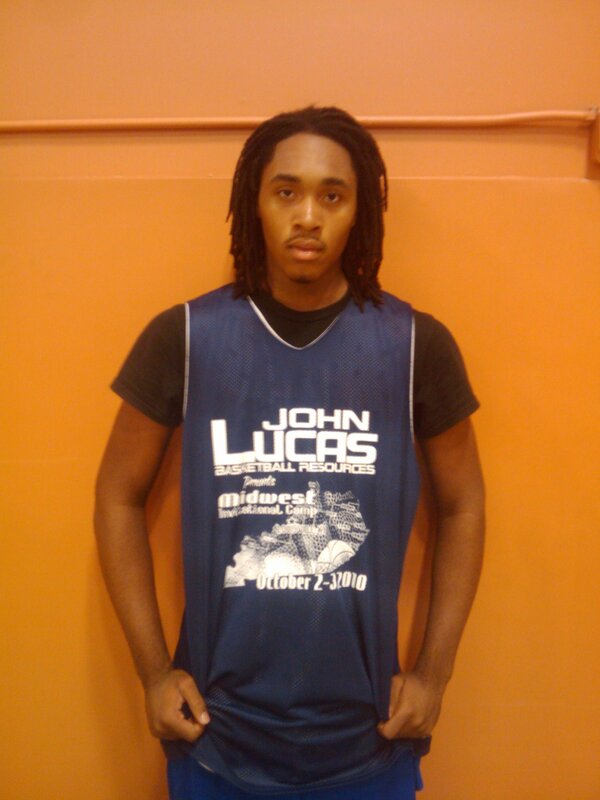 Check out Josiah Kelsey from Louisville, Ky Evangel Christian School. Thanks again for the article.Really looking forward to read more. Much obliged…. Every post but one only talks about scoring, scoring scoring. That’s fine and dandy, but have any of you heard the word REBOUNDING. Go ahead be 1-dimensional. I have a an 8th grade post player (Brett Houston) who pulled down 19 boards earlier this month and scored 12. He’s averaging 12 boards a game in December. He’s a beast on the boards. Also have 2 guards that would give any of these so-called up-and-coming studs a run for their money. Check out connor bolles from lehi utah best jump shot around. the kownacki kid can play. an exceptional shooter, handles the ball well, rebounds and he’s a shut down chest to chest defender. he has all the skills at a high level. You need to take a look and the point guard at Twinhills School in Oklahoma by the name of T.J Berry. Do you only travel a certain area or something? The Kiefer Trojans (Kiefer, OK) 8th grade team has been undefeated for the past 3 years. They have 2 big men…6’4″, 14 years old. One is my son, the other is the head HS coaches’ son. Coaches son can shoot 3’s better than any shorter wing, my son is a post dream…he can shoot from outside, outrebounds everyone, and can play up on guys 2 and 3 inches bigger and shut them down…he has a 9 1/2 foot reach floor to fingertips. They have twins about 5’8″ that are aggressive and can shoot inside and out, and then we rotate out point guards for 8th grade, but when they play 9th grade they have a very consistent freshman PG who is also very solid. The word is that this is the best 8th grade team in Oklahoma, and the whole town can’t wait for these guys to be freshmen next year…rumor is that only 1 starter right now will start next year, and the freshmen will take over…but don’t know for sure. You’re missing out by not giving these boys a look, for sure…you don’t see a whole team of stars on one team…especially not in small town USA. Norman Runners beat Keifer in a Swaim tournament. It was the 8th grade team. The Keifer team won in pool, but the Runners won in Championship. So they have one loss in three years, correct? If you count weekend play, yes. If you count school ball, which I was, then no. I do not recall the Norman Runners. Was that the team that was the team that was blended out of Athletes First kids? That is the only weekend loss that I know of that Kiefer has had. Its A PG in Cincinnati named Aj harris that should be on this list. Right now he plays varsity for the power house Dayton Dumbar. Also another guard named Landis Owensby that Goes to clark monetssori when i say he needs some nationaly looks i mean it because he’s just might be better than some guys on this list. You are correct Aj Harris deserves to be on this list.Aj is a clear top 25 on every other website and plus he has the one thing most of these point gaurds don’t…. he is a winner leading the very good Cincy knights. At lots of the camps i have seen him at people believe he is the fastest player in this class. I am also surprise that Landis Owensby has no national attention that kid can flat out play although i do not believe he is top 25 he is just a pure point gaurd who can score at will but rather help his teammates. Another name that should be on this list is ohio’s Luke Kinnerd. He is a 6’5 small forward and probably the best shooter in the class ask anyone who saw him at nationals last year. This kid can play. He has some nice post moves as well.He plays like a white Kevin Durant the way he plays above the rim with a great jump shot this kid just can’t be stopped. He is also a factor on the cincy knights loaded team with 7 top 100 players. WATCH OUT FOR THE NEXT FAB 5+1 AT SENECA MIDDLE SCHOOL IN SENECA, SOUTH CAROLINA. THEY WENT 14-2 THIS SEASON AFTER THEIR STARTING POINT GUARD WAS MOVED TO VARSITY HIS NAME IS ZA ZA BARMORE YOU WILL KNOW HIM SOON!!!! Where is Malik Maitland? Florida top PG for class 2015. Please take a look at http://www.malikmaitland.com (Fleming is on the same team (TEAM NIKE).VERY INTERESTING. Be on the look out for Tobi Ewuosho of Lincoln Park HS Chicago, Illinois this kid might surprise you with his athleticism. Where is Juwan Gooding Boston,Ma. he had a great freshmen season avg 18pts a game this year .. Anyone heard of Ryan McRaney from Mississippi class of 2016? Ryan McRaney from Sumrall, Mississippi should be on there. Wilson NC has a gem of a player. Freshman Joshua Willingham of Community Christian averages a double-double for his varsity team. (since the 8th) This year MVP of his conference and NCISAA All-State along side serveral D1 players (class of 2012) He has already received some letter from D1 school. Class of 2015 look out ! where is darryl stephens from louisville ky he shows leadership great shooting ability and can attack the basketball and finish his court vision is like steve nash im tellin his a beast!! fifth grader excellent spot up shooter..
Tyriq Givner should be top 25 i the middle school elite check his award histoy multipl trophies at his house he’s from Cleveland, Ohio. Never heard of him who does he play for. I saw this kid at I Can Acadamy, he really is good. I thought he would be our next Labron!!! I he attends Cleveland Central Cath…. In Trumbull Ct should be on this list for girls.. Has the total package.. MVP at 2011 fall Rose Classic NYC, 2011 Adidas National all Adidas Team Bloomington IN. MVP Basketbasll Ball Hall of Fame. Where is Aquil Burnett-Wallace 6’1 14yr old Freshman PG From Dallas TX. Good court vision and Ballhandling Skills Solid passer and Three point Shooter..
Where is Aquil Burnett-Wallace 6’1 14yr 0ld PG From Dallas Tx. Good Court Vision & Ballhandling Skills..Solid Passer & Three Point Shooter. Yall have got to see the 5’8 guard elijah jones out of Dallas Tx, who took T.W. Browne middle school all the way to city champion as a 7th grader starting 8th grade…He shoots from NBA range with high percentage, he can play the one or two. You would think he is left handed because he can shoot from anywhere on the court with either hand.. Has great ball handles and is one of the best passers, I have ever seen…Please check this kid out, He has more basketball knowledge than bobby knight..Elijah Jones is amazing, He is only in the 8th grade this year…..
Eighth grader, Jordan Coleman, Brewer Middle School in Greenwood, SC is a fine young player. He scores, he handles, he shoots the ball well, he’s probably the most ambidextrous kid you’ll see..finishes left and right handed with no differentiation. However, what this kid does is “think” the game as well as any 14 year old you’ll see. Tremendous basketball IQ, completely unselfish player. Already understands the significance of “being RESPONSIBLE for points”. He’d rather win, as opposed to “look good and lose”. Some of these great scorers everyone recommends would LOVE to play with this kid. Forget the superstar comparisons, this kid will remind you of a young Kendall Marshall. When his body catches up to his mind, he just may be a special player. I’d keep an eye on him…. Ranks him 29 in the nation.